The driver’s job is to stay in control behind the wheel and that is all. The past is what you leave as you go. There is nothing more to it. 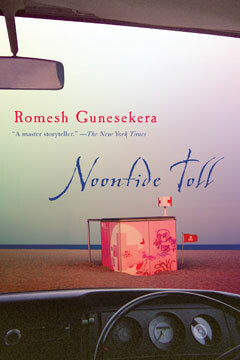 On his journey from the army camps in northern Jaffna to the moonlit ramparts of Galle, in the south, Vasantha begins to discover the depth of the problems of the past—his own and his country’s—and the promise the future might hold. From the writer praised by The Guardian for the “vivid originality” of his vision, here is a wonderful collection—perceptive, somber, finely tuned—that draws a potent portrait of postwar Sri Lanka and the ghosts of civil war.